Search Solution Staffing has the experienced and professional bookkeepers your company can trust to balance the books. Our long list of capable and dependable bookkeepers have worked across all industries and have the experience your company needs. Whether a company is using Quickbooks, Microsoft Dynamics, Sage, SAO, or other platforms, we will have an employment solution that fits your company needs. Finding bookkeepers with experience managing varying cycles of billing, receivables with different billing cycles, or single vs. multi-unit experience can be difficult to find on short notice. Simply let your dedicated Search Solution Staffing accounting recruiter know the level of experience, necessary software knowledge, and the size of the company, and we will connect you with the perfect bookkeeper for your company. We offer three different methods to provide your company with the temporary bookkeeper employment solution that is right for any situation. For immediate & short-term employment needs, Search Solution Staffing offers temporary bookkeepers for our clients. 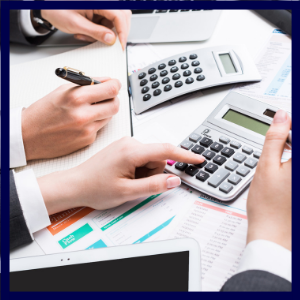 We understand that our clients need temporary bookkeeping services quickly and efficiently, so we strive to meet these needs as promptly as possible. Keep things running smoothly and hire the right temporary bookkeeper today! Sometimes contract bookkeepers are needed for a predetermined amount of time. Whether the need for a contract bookkeeper is driven by seasonal fluctuations, project-based needs, employee vacation, or maternity leave, Search Solution Staffing will assist you in finding a solution that works for your business. Not only will our team find the perfect professional to work with your company for the duration of the contract, but our clients also always have the option to extend a full-time offer, should you like to keep the employee permanently. Contract-to-Hire is an ideal way to quickly fill a position while reserving the right to delay a permanent offer until the employee is thoroughly vetted. Many clients prefer to hire in this manner as it reduces risk and allows the client to assess the needs of a role completely. If you are looking to move quickly but would prefer not to rush into a permanent decision, this option is for you.